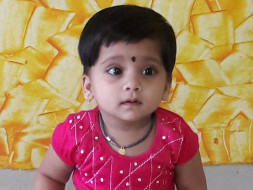 Having been serious for the second time since birth, 3-year-old Risha needs a major open-heart surgery so that she can beat the odds of survival and have a normal childhood. Her parents’ poor financial condition makes it difficult for them to help her and they’re racing against time to save her life. For a 3-year-old, some would say that Risha is extremely active. More than playing, she loves running around, and sing nursery rhymes, excessively. It’s not hard to imagine that with time, Risha will want to continue her activities and just have a growing temptation to play around just like any child. That could all be just a dream for her because instead of playing around at home or at school, she could be very critical, with her heart almost giving up on her. Due to a birth defect in Risha’s heart, she urgently needs a life-saving open-heart surgery. 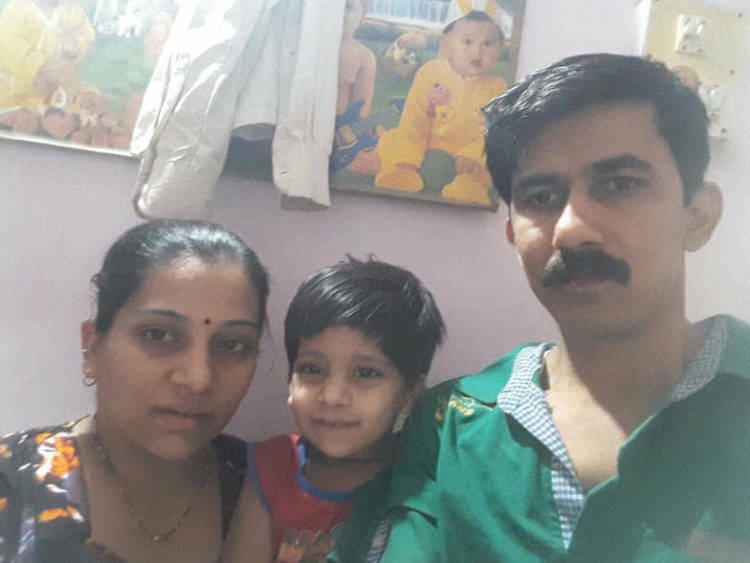 Her parents, Deepali and Pratap are trying their best but are currently running out of time. 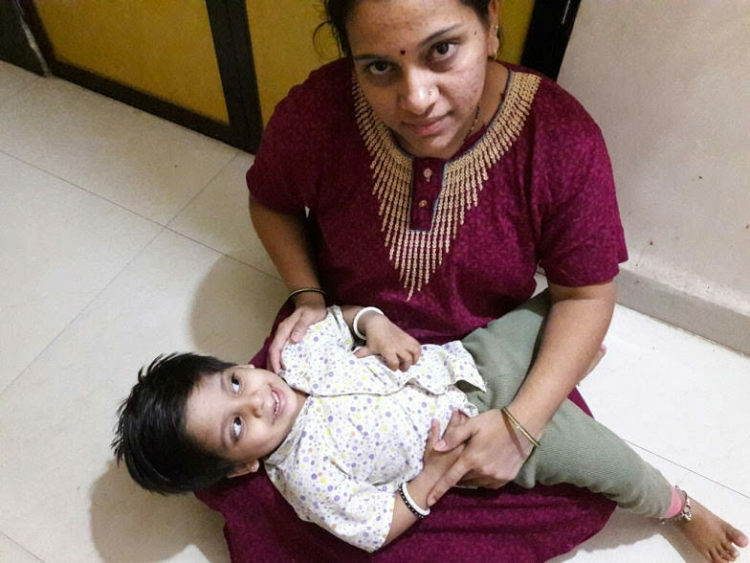 After a sustained fever and a doctor’s visit, Risha was found to have unusual and strange heartbeats. 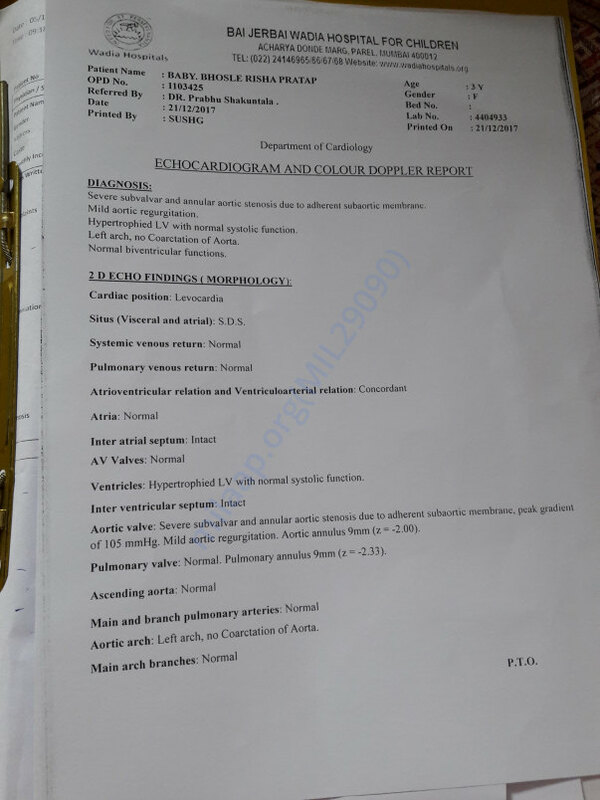 Through a 2D-Echo test, Risha has been diagnosed with Severe Aortic Stenosis and Mild Aortic Regurgitation. In simple words, there is an obstruction of blood flow within her heart and her body can’t receive all the oxygenated blood. 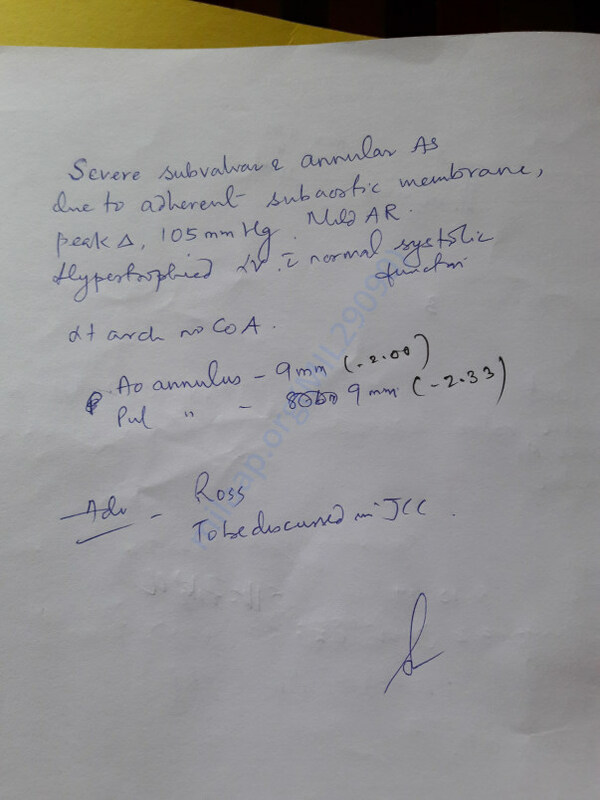 If untreated, this could render her critical very soon and lead to cardiac failure. Also, until now, only 20% of those diagnosed have survived past 5 years if left untreated. To overcome such disastrous odds and to have a safe childhood, Risha needs a major corrective open-heart surgery as soon as possible. Being born pre-mature, Risha had to be kept in the hospital for over a week as she was extremely underweight. Her mother, Deepali, worried for her life at the time of birth and 3 years later, she is going through it again. As her mother, one can only imagine the horrors of having the thoughts of losing a child twice within just a few years. Despite facing such grave situations, Deepali has remained strong and focused. 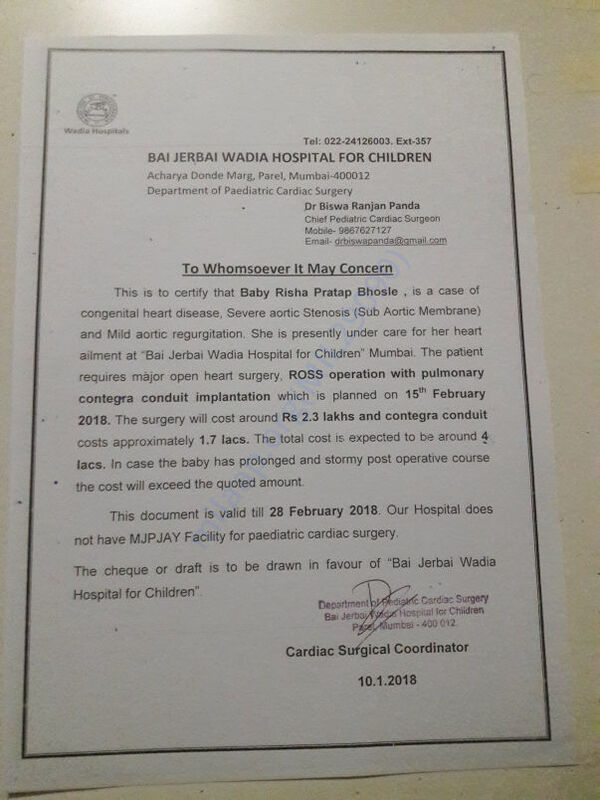 Risha is scheduled to have a surgery on 15th February 2018. Deepali and Pratap need to provide for the surgery by then and are now racing against time to do so. 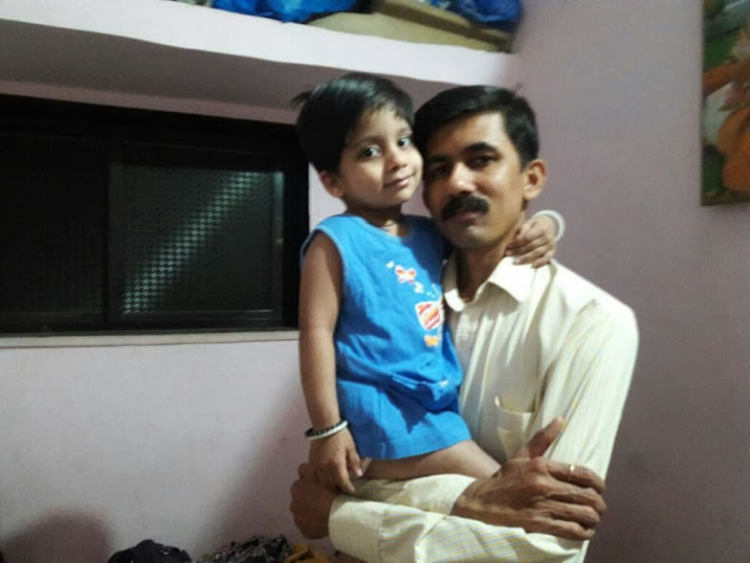 Pratap, Risha’s father, works at a retail store earning a bare minimum wage. Deepali is a housewife and together, they’re unable to save much every month. As the deadline approaches, their financial condition makes it extremely hard to provide for the surgery’s exorbitant costs. 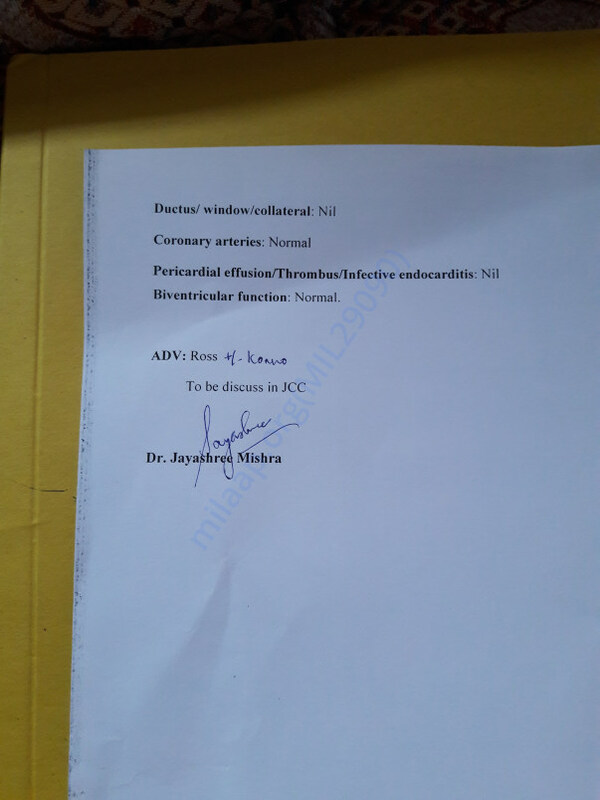 The total cost of the surgery is estimated to be approximately Rs. 4 lakhs. 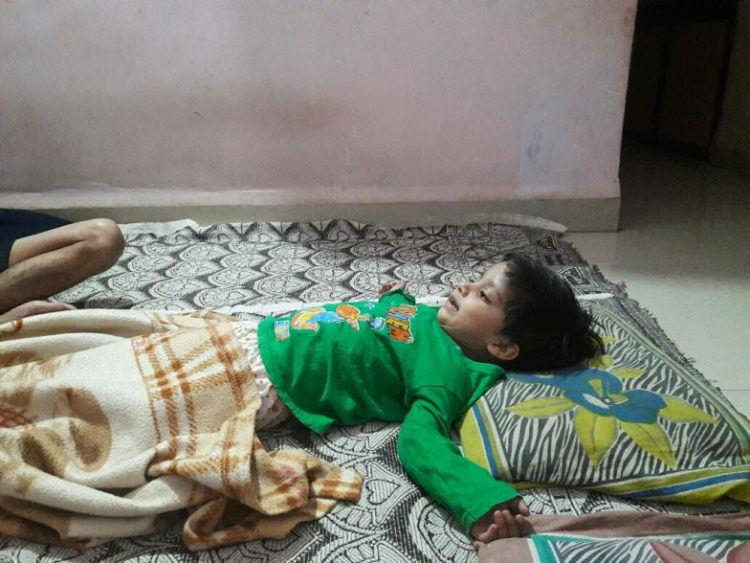 Pratap and Deepali have exhausted all they had, asked for multiple organizations for help and running out of time to arrange the funds required for Risha’s surgery. They cannot afford to pay for the surgery and have no other means except crowdfunding. 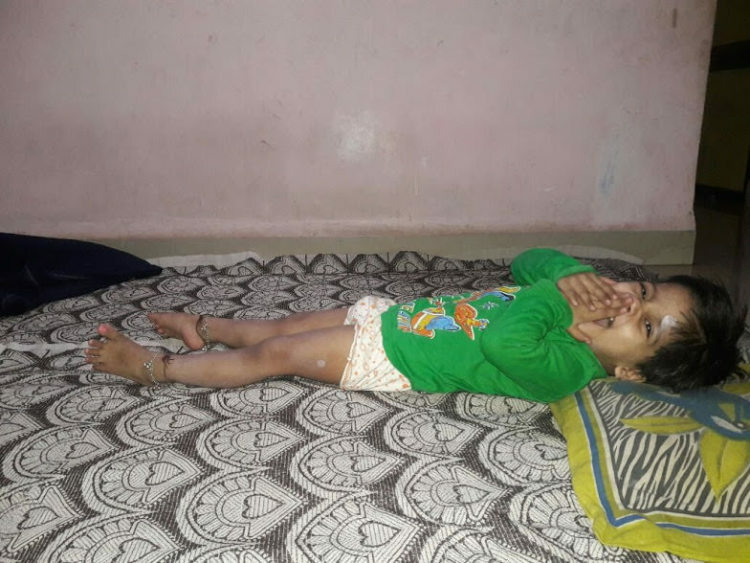 Having exhausted all they had to treat and support their 3-year-old baby, Risha, up till now, Deepali and Pratap are racing against time to provide for a major open heart surgery Risha needs. Now, they need your support to make this possible. 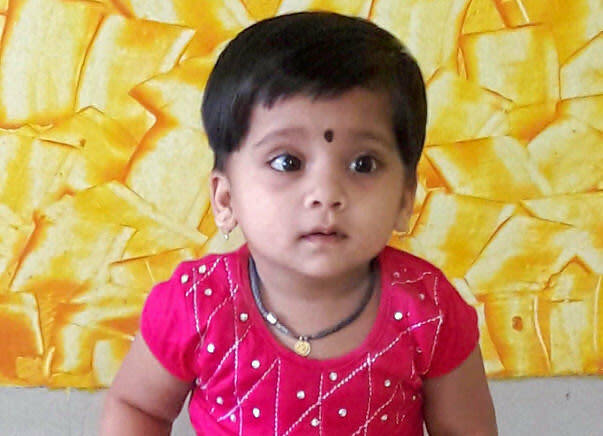 Your support will save 3-year-old baby Risha. GOD Bless You Risha...Wishing you a speedy Recovery and Happy Life.